Video games aren't just for antisocial nerds! If you think that the only people who play video games are a bunch of underemployed loners sitting in their parents' basement, think again. The gaming business is huge. Hollywood blockbuster movie huge -- with glitzy trailers to match. When Activision Blizzard released its new game "Destiny" last year, it racked up sales of $325 million within the first five days. To put that in perspective, that's nearly $70 million more than the U.S. ticket sales for this summer's box office champ "Jurassic World" during its first five days in theaters. Wall Street has taken notice too. Shares of Activision Blizzard (ATVI) -- which also makes the popular action franchise "Call of Duty" -- are up nearly 70% this year and at an all-time high. Electronic Arts (EA) -- which develops big sports games like "FIFA" and "Madden NFL" -- has soared more than 50% so far in 2015. Both stocks have been on fire for the past few years. They've outperformed the S&P 500 since this bull market began in March 2009. So will this trend continue or is it finally game over for these two stocks? It's hard to bet against them. The holidays should be big -- especially for EA. That's because EA is releasing "Star Wars: Battlefront" next month. In case you haven't heard, there's a new Star Wars movie coming out in December too. So EA should benefit from all the Disney (DIS)-fueled hype surrounding "Episode VII -- The Force Awakens." But Michael Pachter, an analyst at Wedbush Securities, thinks there's a lot more to EA and Activision than just how many games they sell this Christmas. "If you own these stocks with a three year horizon, you will absolutely be fine," he said. "The industry will grow for several more years. The console cycle is not even close to peaking." 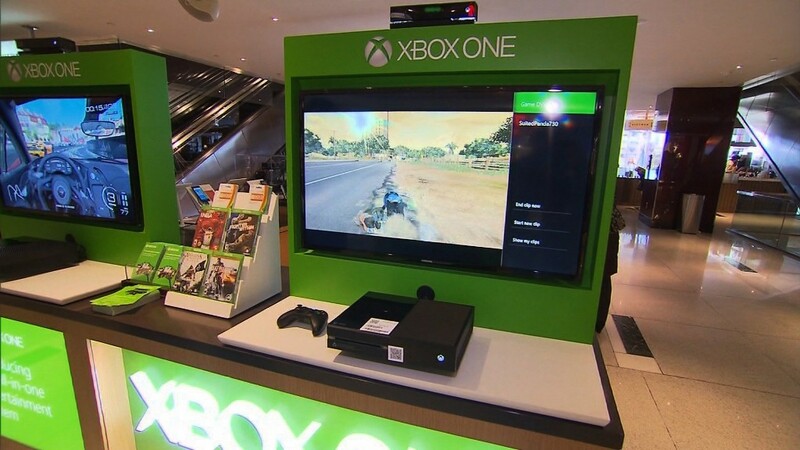 Microsoft's (MSFT) Xbox One and Sony's (SNE) PlayStation 4 were both released in November 2013. New consoles tend to come out every five or six years. Arvind Bhatia, an analyst with Sterne Agee CRT, said there's another reason why EA and Activision should continue to do well. The economics of the video game business have changed for the better over the past few years. Both companies have embraced digital downloads and mobile games. And it's more profitable to make those types of games than your standard hard copies. Bhatia noted that, like Hollywood, the gaming giants also recognize that a key to long-term success is to milk existing franchises for as long as you can. "EA and Activision make a lot of sequels with built-in audiences. There is more predictability. They have a lot of recurring revenue," he said. The one concern is that neither of the stocks are cheap. Both trade for more than 20 times earnings estimates for next year. Bhatia said some of the smaller video game companies, such as Take-Two Interactive (TTWO) and France's Ubisoft (UBSFY), may be better bargains. Investors can also cash in on the popularity of video games through retailer GameStop (GME). That stock is up 30% this year but trades for less than 10 times next year's profit forecasts. Bhatia said that investors often worry about GameStop's future because of the move to digital and mobile games. Why go to GameStop to buy a physical copy? But GameStop has moved beyond just selling games. It owns the SimplyMac chain of stores that sell Apple (AAPL) products and Spring Mobile, which offers phones from AT&T (T). And it just bought Geeknet, a company known for quirky, pop culture collectible items. "People have written GameStop's obituary several times over the past few years. But they have started to diversify," Bhatia said. So the business of video games still looks like a winning bet.